Art Gallery of New South Wales. Pop to Popism. Exh. cat., 2014, p. 261. Moderna Museet. 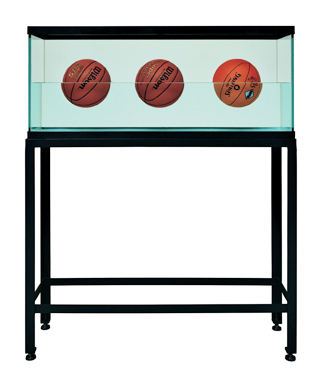 Sculpture After Sculpture: Fritsch/Koons/Ray. Exh. cat., Ostfildern: Hatje Cantz, 2014 [Texts by Jack Bankowsky, Thomas E. Crow, Nicholas Cullinan, Made Great, conversation between Michael Fried, Isabelle Graw, Michelle Kuo, Charles Ray, Scott Rothkopf], p. 66. Henger, Sue, Ed. OBJECTives: The New Sculpture. Exh. cat., Newport Beach: Newport Harbor Art Museum, 1990, p. 86, illustrated.